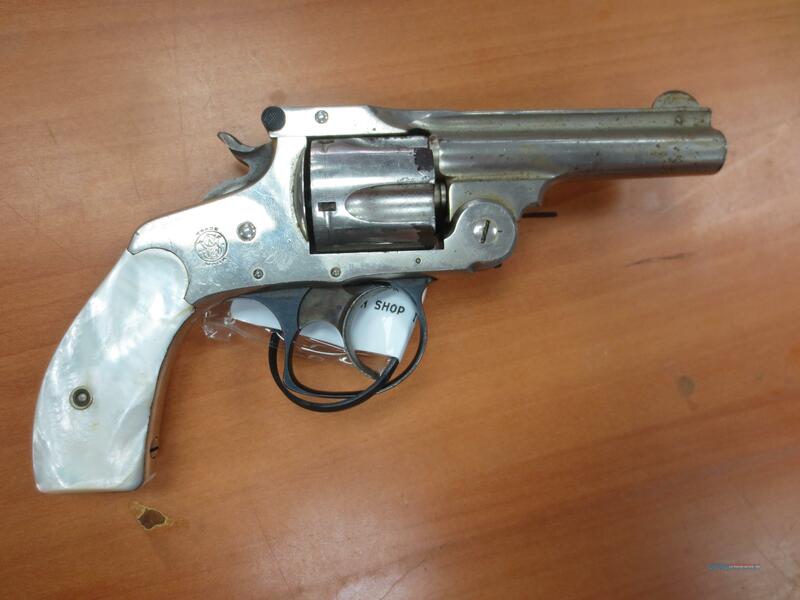 Description: S&W mod#Topbreak .38 s&w caliber 5 shot nickel plated revolver. faux pearl grips. the nickel plating is about 50% gone, Mechanically still works well. (Sorry- not qualified for sale in california) aprox 1909-1912 vintage.